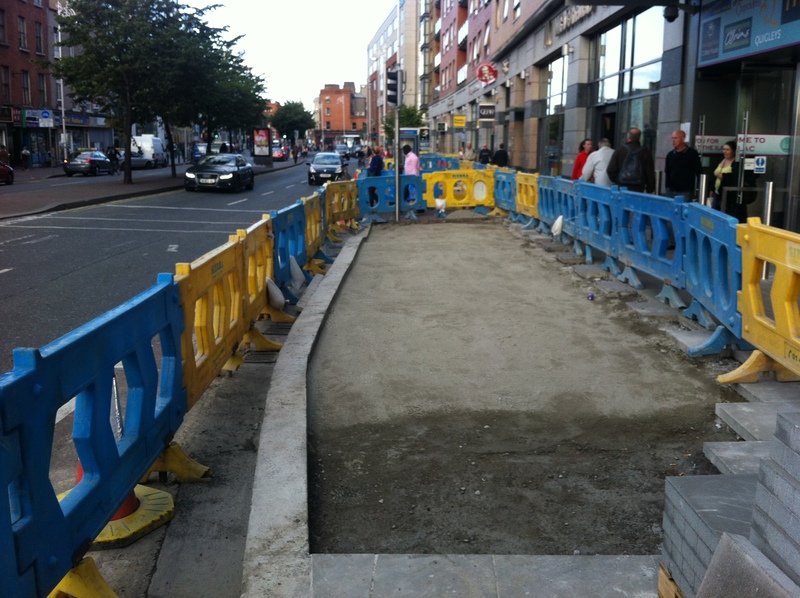 Parnell Street – one of the main streets in the city centre on the north side – is getting it’s footpaths repaved. 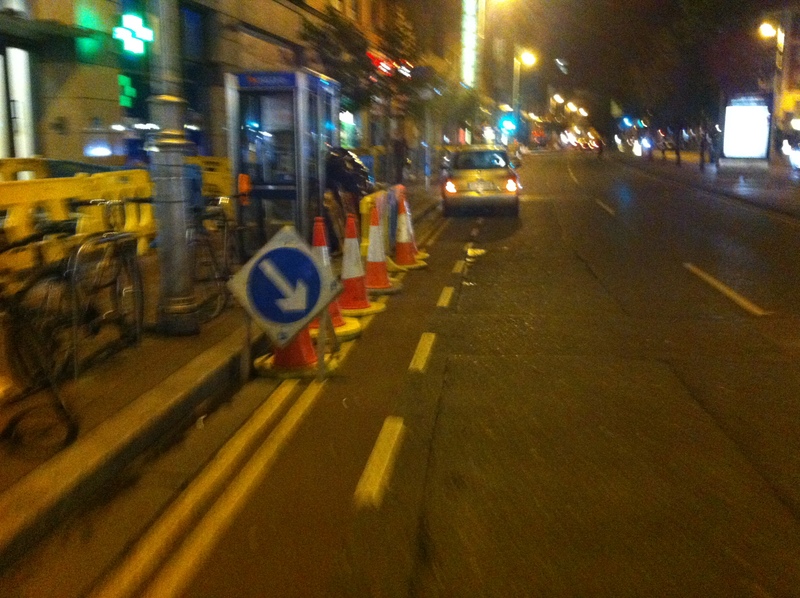 Strangely the council / their contractors seen to think this is a good reason to ask cyclists to dismount. I noticed maybe 20-30 cyclists pass by in just a few minutes this afternoon around 6pm, all but one ignoring the silly advice shown in the picture. 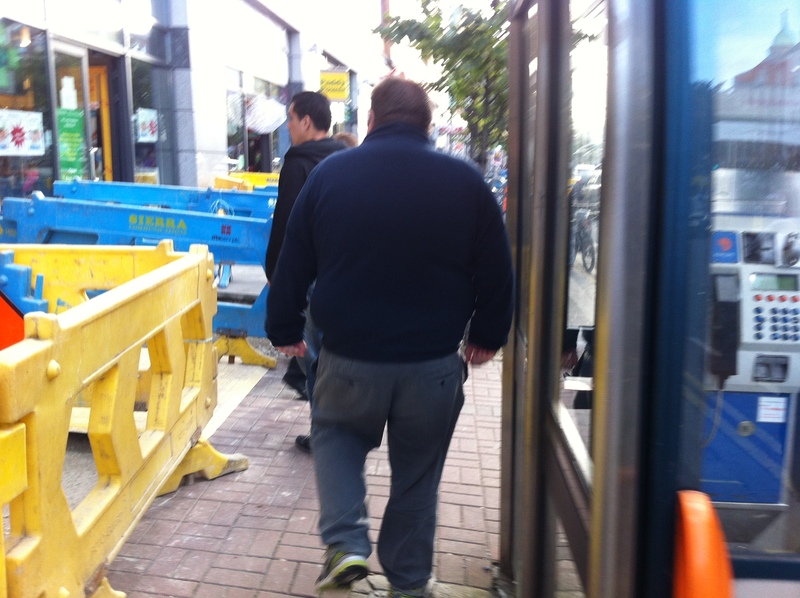 If those cyclists were to dismount, where would they go? 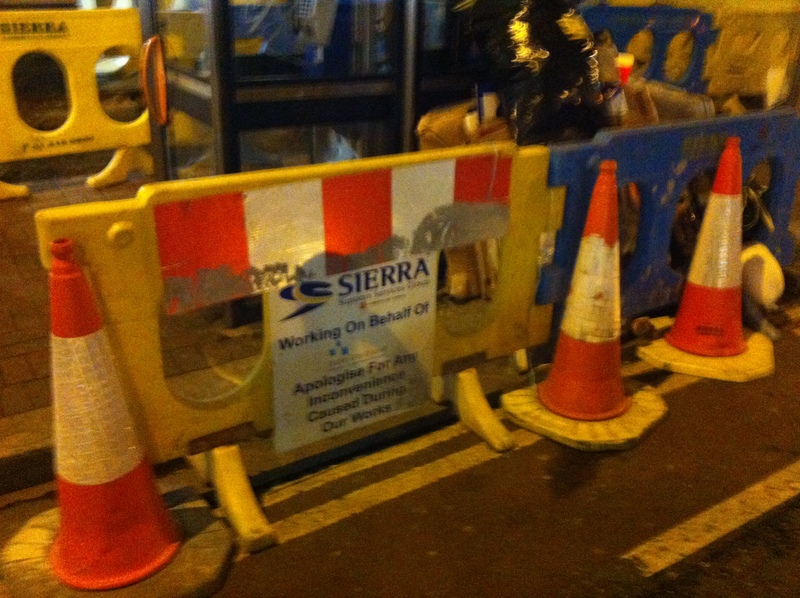 Into normally busy footpaths, narrowed further by the on going works? Is even 10 people with bicycles walking along here a good idea? Anybody who knows this street will know that it’s daftness to ask cyclists to dismount just because the cycle lane is blocked. The cycle lane is tiny and cyclists are often forced out of it because people on foot trying overtake those on the crowded footpath, and people not looking before crossing the road, and motorists stopping their cars while picking up some one, and motorists who have abandoned their cars, and vans loading and other cycling going the wrong way. Most of these things happen in clearway operational hours and nearly any other hour of the day which is worth talking about. Using the street often teaches you that it’s at least sometimes best to keep out of the cycle lane for most of the street as you’ll only be in any out like a yo-yo. Apologies for any inconvenience caused, expect cyclists, you just carry on regardless… Rather than putting in any road works safety measures for cyclists, it seems as “cyclist please dismount” sign was put in place! 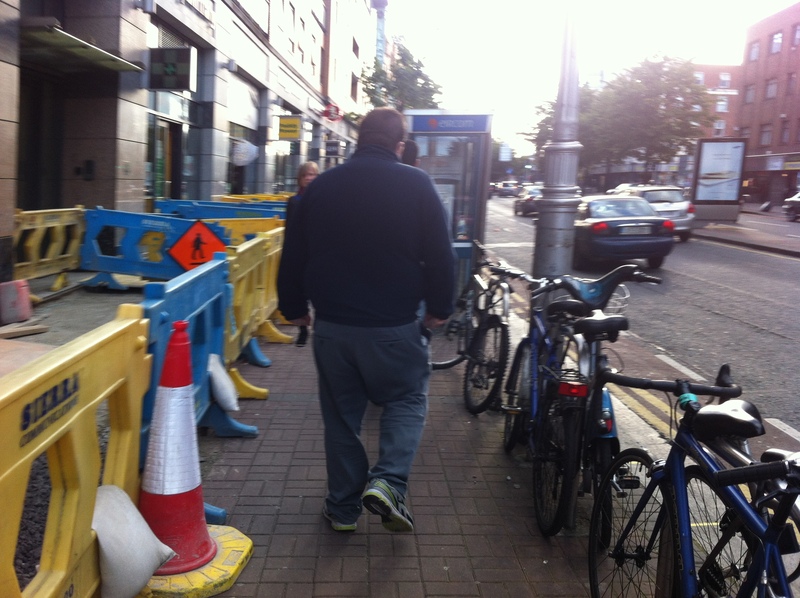 If this — and many other examples of how poorly cyclists are treated around road works — is anything to go by, then the construction works of Luas BXD should be fun….